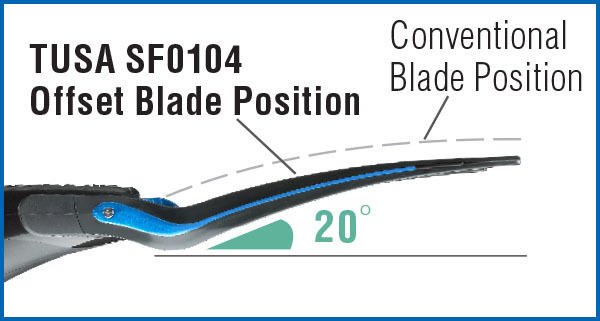 The TUSA SF0104 Hyflex Switch is powered by PuRiMaX “Polyurethane Blade System”. 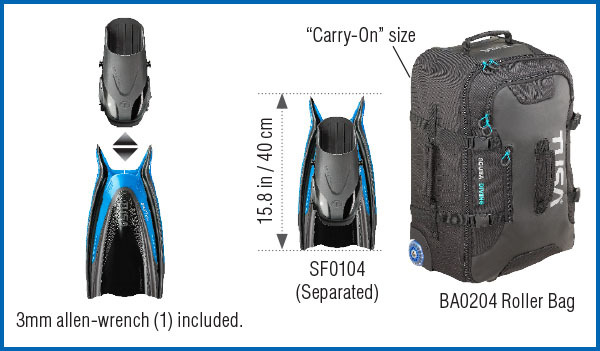 The Polyurethane blade provides a quick “snappy” response to the diver’s every movement. 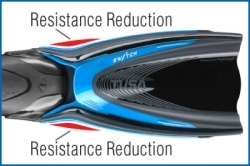 TUSA’s unique “Vortex Generator” effectively reduces water resistance through the fin stroke normally found on traditional smooth blades. 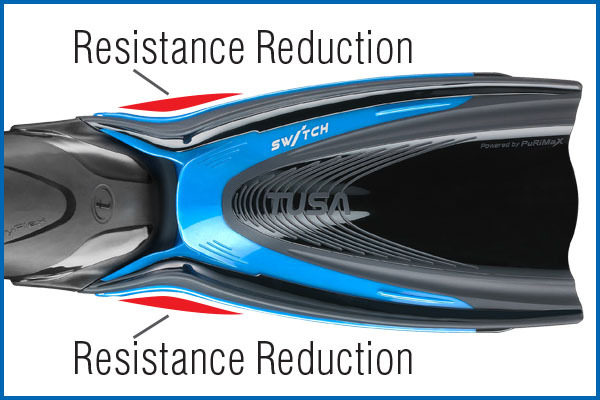 TUSA’s Multi-compound foot pocket increases power transfer to the fin blade. 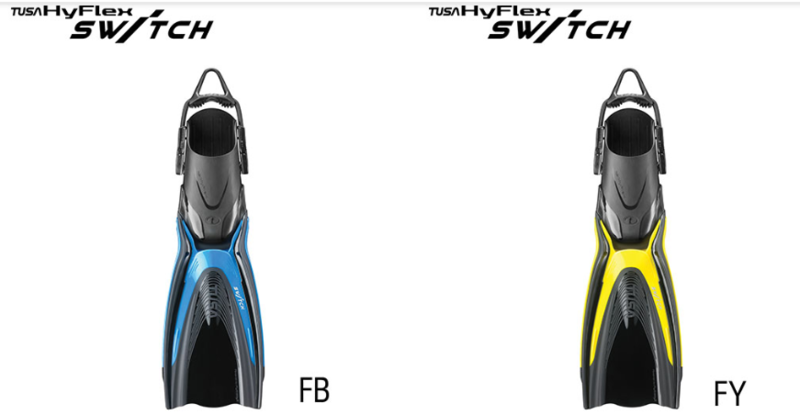 The TUSA Hyflex Switch is equipped with the new Universal Bungee Strap providing extraordinary comfort. The fin blade is made of top quality Polyurethane material that provides a quicker response to movement over rubber and plastic fins. 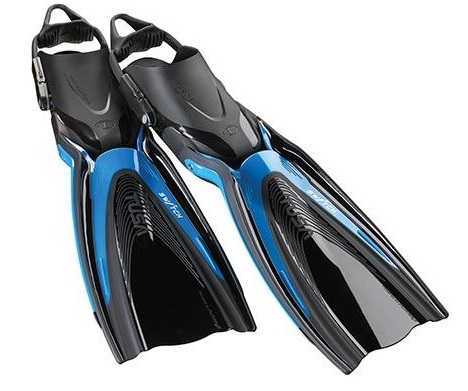 The heavy-duty elastic fin strap provides easy donning and doffing of fins. 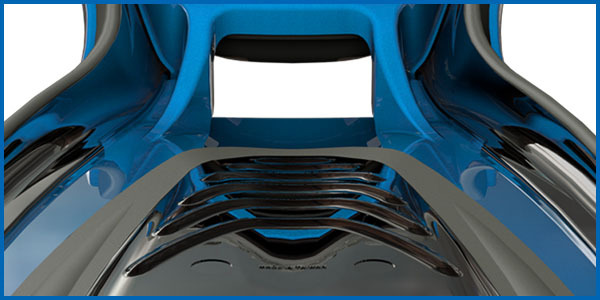 The quick adjustment accommodates five (5) adjustable positions.